Aban Offshore Limited (AOL) and its subsidiaries own Wind Energy Farms of 70MW capacity in Tamil Nadu and these wind farms have been in continuous operation since 1996. 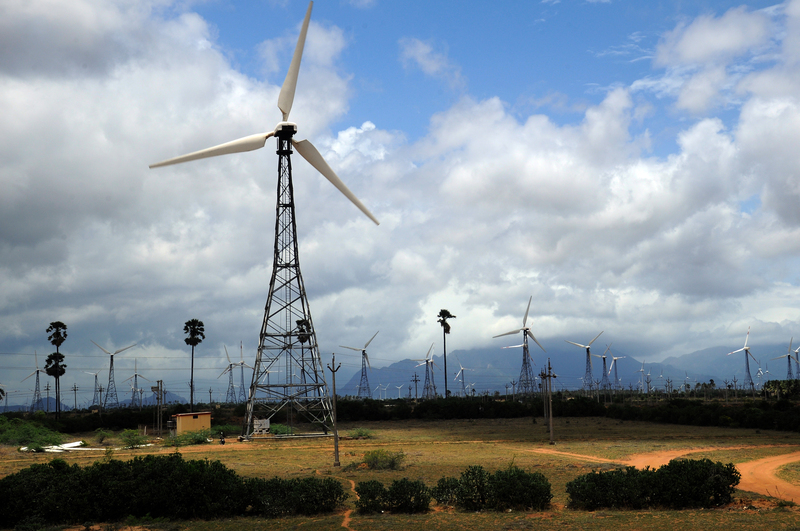 The AOL wind farms are located at Radhapuram Pazhavoor and Kavalkinaru in Tirunelveli district of south Tamil Nadu. Aban Energies Limited (AEL) operates and maintain KVS-33 model, 410 KW capacity wind turbines. It uses the variable speed technology, which generates more power, reduces wear and tear and maintenance costs. The KVS-33 wind turbine incorporates sophisticated micro-processor control systems which facilitate the effective management and control of wind turbines from a Central Control Room round the clock. AEL has a well-trained team of engineers and staff for operation and maintenance of these wind farms to achieve the target generation. AOL through its subsidiaries Radhapuram Windtech Private Limited (RWPL) and Aban Green Power Private Limited (AGPPL) caters energy requirements of its clients through Group Captive Scheme.